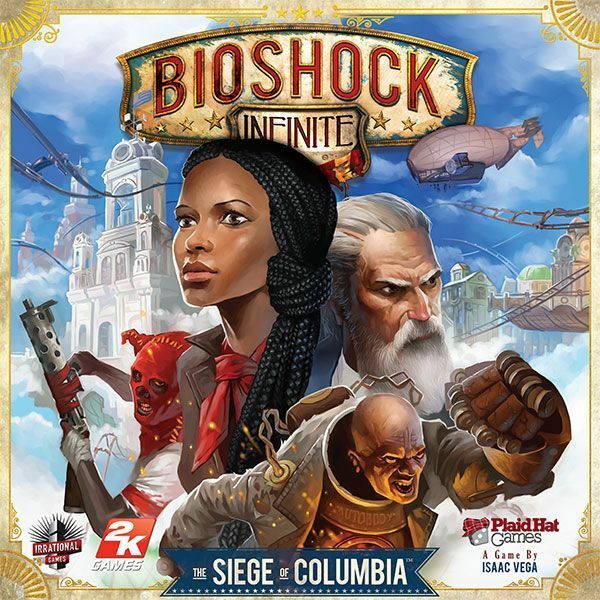 In the tabletop game BioShock Infinite: The Siege of Columbia, players will play as either the Founders or the Vox Populi and will build up an army to fight for control of Columbia by taking ground and completing important objectives. At the same time, they'll be using their influence to sway various events that arise. They'll also find themselves having to deal with Booker and Elizabeth who are running around Columbia creating havoc. Bioshock Infinite: The Siege of Columbia has players combating one another, stealing objectives from one another, assassinating leaders, destroying strongholds, bidding against each other for control of unfolding events and more. The first player/team to 10 victory points wins. The board game, based in the universe of the Irrational Games-developed video game BioShock Infinite, comes with 52 miniatures, cards, dice and a colorful game board. One of those miniatures – the Handyman – comes with the Premium and Ultimate Songbird editions of the video game, however this item was a promotional element to get news of the game out there and no rules have been implemented for this figure.